As I've continued work on my Grineer concepts, I've had several ideas that wouldn't really fit in that thread, mostly due to them being unrelated to that faction. However, I'd still like to use them. This topic is going to be updated fairly infrequently, if ever, I imagine. Then again, who knows. Also, everything here will be considered as "implemented" for the purposes of my main thread. I hope it won't become too confusing. My Grineer Mega-expansion thread found here. In many different sources one can find mentions of The Lotus as a group instead of individual. While it is mostly old, partially retconned material that mentions this, I would like to explore it as a good idea to explain things like: Rescue targets, Defense cryopods and the like. It could also be a way for DE to add a new mission control person, as I see many people (myself included) quite annoyed by the Ordis-made pseudo-Lotus. The Lotus Organisation is a group of like-minded, independent individuals across the system. 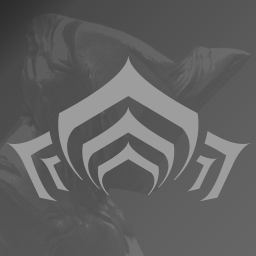 They were first recruited by the Lotus during the time when Tenno were completely asleep in the Second Dream. These fervent Tenno-sympathizers are what made Relays and most independent colonies possible. Obviously, for these crimes, they are hunted by both Grineer and Corpus. After the Lotus/Natah dissappeared, they were devastated, but not broken. In spite of increased difficulty and danger of aiding the Tenno, the Organisation stands strong. Now under a reformed leadership of a new Lotus Council, they are once again ready to help. Councilor Nucifer takes up the mission control and direct Tenno communication duties (art coming soonish has come). She is slightly overwhelmed by this responsibility, but will surely try her best. The Lotus Council appears in the Relays, possibly with some side-missions to take (Could be an event, will expand on this possibly later). So while I was thinking about my next concept, I've kind of run into a wall. 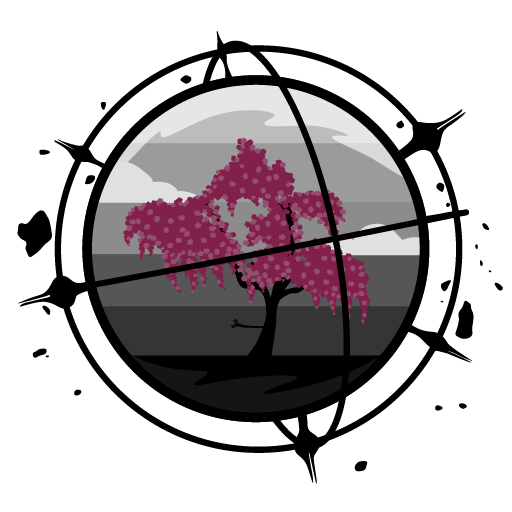 I was thinking about Syndicates and how they are "slightly" inconsistent lore-wise. The main point is that I'd like to remove the awkward "I'm helping you in this event, but you sent death squads against me." problem (present in the currently running Project Pyrus, I've seen quite a lot of people mention it), as well as the dissonance between death squads in general and supposed pacifism of a solid number of syndicates (Ergo "I really hate people using killer robots to kill others so I'll use killer robots to kill others" Glast comes to mind). My only idea is basically removing the negative standing levels (effectively axing the syndicate death squads) and possibly adding a possibility of gaining favor with more Syndicates at the same time (maybe at the cost of higher prices?). The problem with this is that I don't think the syndicates are in a very bad spot gameplay-wise, it's really only the lore that breaks them a little. And considering that DE does seem to go pretty hard into lore now, I'd say it would be a good idea to fix this problem as well. It's still pretty early into this thread, but I'd like to invite people (if anyone will read this) to share their ideas on this. True but then there'd be no consequences for "working with the enemy" and while I do agree that the death squad idea is lore breaking sometimes, maybe it should just be replaced with something else. No sure what tho. Yeah, that's the problem I've got with my idea as well. I'd like to preserve competition between Syndicates while removing the outright "I'm gonna kill you" hostility. The problem is so far we dont know much of the Syndicates... 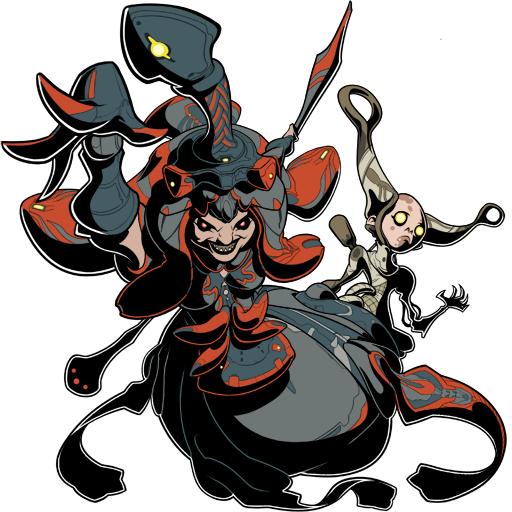 Capable of developing Spectres (and even WF augments) that the current Grineer & Corpus faction -- tenno's life long nemesis seemingly lack, each with their own ideology and goals regarding the fate of the system, should they assume hostility, they could very well turn out to be a much fearsome force. Uncertain of their size, all we've seen are their representatives stationed each relay, for all we know the events and quests could be self-assigned by the representatives, who talks to countless tennos, obeying orders, and unaware of the deaths squads from the 'higher up'. 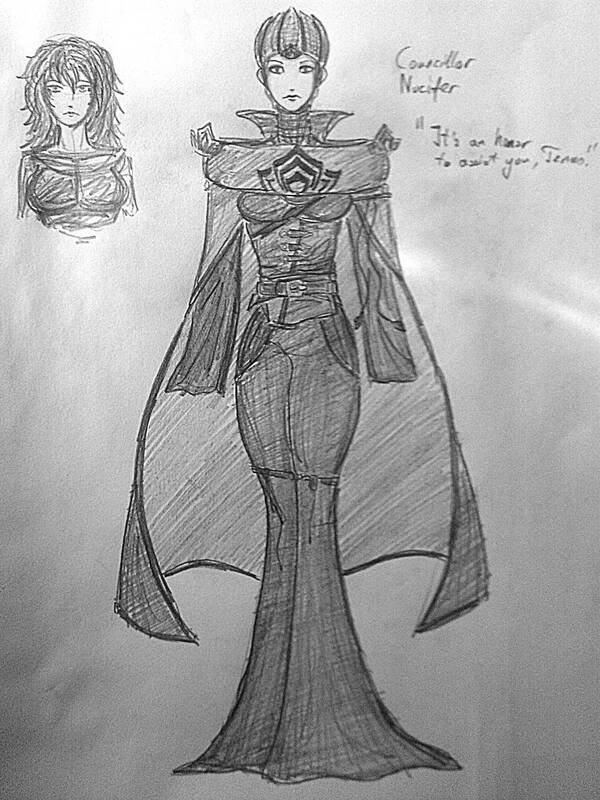 The red woman (Palladino) of iron wake started chain of harrow. Ergo Glast started Glast Gambit... you know what forget all that, the whole system makes no sense, it's really just DE neglecting the whole thing for too long. The big problem with Syndicates is the separation of lore and gameplay they present. While many systems in the game have well explained lore reasons (e.g. Sentients die inside the void? Well, void-based powers deal damage to them super effectively, here you go), the Syndicates are basically exclusive vendors and that's it, gameplay-wise, when in lore they range from influential splinter organisations to just a rando cephalon (I know Suda was an orokin, but still, her relevance to the main plot is basically non-existent, considering she only cares about knowledge). It just makes sense that there should be some more engagement with them considering they are supposedly trying to fix the origin system. kinda hard to change it tho, the meta is already there, not alot of ways they can meaningfully punish us since all we do aside from fishing is commit genocide for loots 24/7. with most tenno holding enough credits to arm a nation it's hard for DE to make everything lore friendly and gameplay-wise impactful. wouldn't hurt to fan-concept tho, it gives them ideas when they eventually comes around to do it, they said it themselves. maybe after kingpin system comes. Hey, I'm back to actually doing things! Kids running around with fake grakatas (why CAN'T we buy those!? DE pls) and Nakak masks playing around the (currently super empty and weird) sides of the village, parents overseeing their children or doing some chores outside the houses. Maybe add "wallmeat-extractor squads" and actually make those balloons move out to the tower every now and then. Corpus-looking traders looking around the aisles and considering purchases. Some more generic humans (like the ones on the relays) talking about the rebirth of the Earth relay. An emmisary of Steel Meridian somewhere close to Konzu (due to the fact these two seem to cooperate, see the Ghoul Bounties and the Ghoul Defector mission dialogue). I thought of two new services that could be offered in Cetus, first of all, Corpus Fish Trading. Considering Corpus bases are situated mostly on planets with no indigenous life (and seeing as they don't seem to care about killing it for profit, see Orb Vallis and Fortuna), there should probably be some effort from them to acquire food. Enter this (unnamed for now) Corpus NPC sitting down a careful distance away from fisher Hai-Luk. Talk to them and they will offer to buy your fish for way better price than the Ostrons could ever give you. Namely, probably some credits and/or generic resources. (This could be kind of useless for veteran players, but I mostly thought about those who just started and often times you can run into a wall when trying to obtain resources early on in the game, this could help alleviate this problem, while not being completely free of opportunity cost). The other idea is inspired by the upcoming "preservation efforts" of Fortuna as well as the uselessness of Cetus's Master Teasonai. He's probably the most useless vendor in the game. So why not give him an actual purpose, the Hunting Missions. While currently, the Plains have only two types of wildlife, if that was increased to a reasonable amount, Teasonai could give you missions to bring him a certain amount of the resources they drop (probably rewarding you with standing). For the rewards, I think it could be cool to see purchaseable companion mods (rarer mods locked behind Ostron ranks, obviously). These missions could be a daily thing or just work similarly to bounties. Different difficulty levels would give more standing, but you would have to hunt rarer, more "feisty" animals. The echolure system could be just wholesale reused for this as well, saving some dev time. What do you think, useful? Useless? Just release fortuna and drop PoE completely? Small update, partially to make this thread not get archived, partially because I felt like teasing the underwater open world map coming to the main thread at some point. First of all, I'd like to admit that I haven't played archwing much. When it was first released it felt really bad and now there is still no reason to do it anyway. This might mean I'll get some things wrong though. So, what do I think would fix the mode? It's not an easy thing, because if it was, then DE would have already done this. I've seen many threads touching on this subject, but they all have seemed to not mention problems I consider critical for why Archwing is so unpopular and basically a joke. Problem: For vets, it's annoying that you have to collect basic stuff AGAIN. For new players, it's EVEN more stuff they don't have. Of course the rationale for the new mods is pretty obvious, more grind, more "content". We can see that has clearly failed however, as Archwing is in the state of not only being optional, but gleefully avoided by most players. There is also another problem that comes from new mods. Difficulty and balancing. Obviously, if the Archwing mods have different values than normal mods, then enemies and objectives have to be balanced differently (namely, since most mods have laughably low values for some reason, 15% multishot comes to mind, then the enemies HAVE to be weaker to be possible to defeat). This leads to Archwing eating up resources it doesn't have to eat up (or rather, DE has basically abandoned it specifically because they DON'T have those resources). Solution: Remove the archwing mods and reimburse all credits and endo used for those, buff enemies and potentially rebalance the weapons to fit with normal mods. Yes, it would upset some people, probably. It would make Archwing much more easy to balance though. It's not like Amesha doesn't already make everything Archwing related a joke. Stronger enemies could help with that. Problem: This one is obvious. If you go to a corpus archwing mission, you are fighting several dozen osprey reskins. Yeah, they might have different weapons, but does it really feel like they are different? for a super-hyped new gamemode, DE fell flat on the enemy department. I know and understand asset reusing. It makes sense to do it in many situations. However, when making a huge deal about a new update (and when Archwing was coming out, it had quite a lot of hype behind it), you probably should invest just a tiny bit more into making the arguably most important thing, the enemies, interesting. At all. Because right now they ain't that. Problem: Even DE doesn't seem to know what they want Archwing to be. Simulator? Arcade flight? Bump-into-a-wall-and-die? I imagine moving in Archwing has made many people quit the mode entirely. I can see why tbh. It can be clunky, and in most situations, you can't even really use it, because you're in a super tight tunnel and you bump into literally everything the moment you start moving. Solution: It might sound weird, but let's forgo precision, let's forgo "skill" and just go full fun mode on this one. Hear me out. The idea is that whenever you approach an obstacle or a wall, you automatically start moving in a way to avoid hitting it. So, for example, if there is a box floating in front of you, you press and hold forward, you go forward and when you get really close to the box, your character just kinda moves sideways to avoid the box, then resumes going forward when it can do so without hitting the box. You do not press left nor right the whole time. It just does it automatically everytime there is an obstacle in the way. How would that feel? Well, you could go full-throttle all the time. Those Corpus tunnels? You just fly at full speed through them, not hitting anything once. FUN MOVEMENT. I think this one needs a point on it's own. Mostly because it's relevant to my Uranus open world concept. Solution: Easy, implement all the above PLUS make it go way faster. It's just too slow for no good (gameplay comes first, we don't need to care about water physics) reason. Overall, there is obviously more problems with Archwing (like lack of relevant rewards and no meaningful interaction with the rest of the game, outside of using Itzal to Blink across Openworld maps really fast), but I'll touch up on those when Railjack releases. Why then? Well, there is a high chance of Archwing being changed a lot in preparation for that mode (since you know, there is gonna be a lot of Archwing in Railjack), and so, I don't want to complain about stuff that's basically a work in progress. Feel free to discuss. I wouldn't mind (in fact, I'd gladly) see some other ideas to help Archwing BECOME the hype-thing it was supposed to be.